Love to garden, but hate muddy, wet feet? Soaked feet spoil the entire mood when you are trying to enjoy your garden, and prevent you from being productive. - Quality materials - light and elastic, they do not leak water and dirt under any circumstances. No second - rate raw materials are used, so you are provided a high standard of quality. - Special production - These clogs from EVA are produced by combining the advantages of all modern technologies. You will get durable secure, beautifully designed shoes that will stand up to all outdoor weather conditions. These comfortable and high quality shoes are ideal for garden work. A great gift for gardeners and people who enjoy comfort and durability. Easy to put on, no cleaning problems and little care! These overshoes from EVA will stand in any weather. So don't delay - order yourself a pair of these garden clogs and see the benefits for yourself! YOU CAN USE IT ANYWHERE - Suitable for any kind of weather. Great for outdoor work. 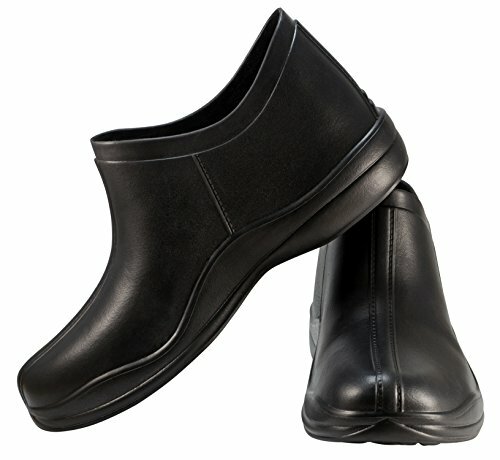 They have non slip sole and waterproof, good for yard and gardening, rainy walk. If you have any questions about this product by Clogs Store, contact us by completing and submitting the form below. If you are looking for a specif part number, please include it with your message.